I’m such a sucker for saccharine wedding stuff, it’s almost embarrassing if you’re someone who knows how un-emotional I am. This past weekend was great for tapping into this guilty pleasure of mine because it was spent helping a cousin celebrate her wedding. Among all of the usual wonderful weddingy things going on and family to visit with, I was recruited to make the table numbers & help set up the reception. 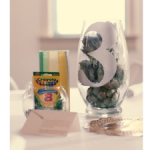 Today, I want to share how I made her table numbers. In talking with the bride, she explained the theme she had in mind and we set up a collaborative Pinterest board to help her save ideas for me to mull over. The colors were gold, black and white, and the bridesmaid dresses were floor-length black with lace over the bust. The men all wore tuxes, so the whole affair was very vintage Hollywood and shiny. 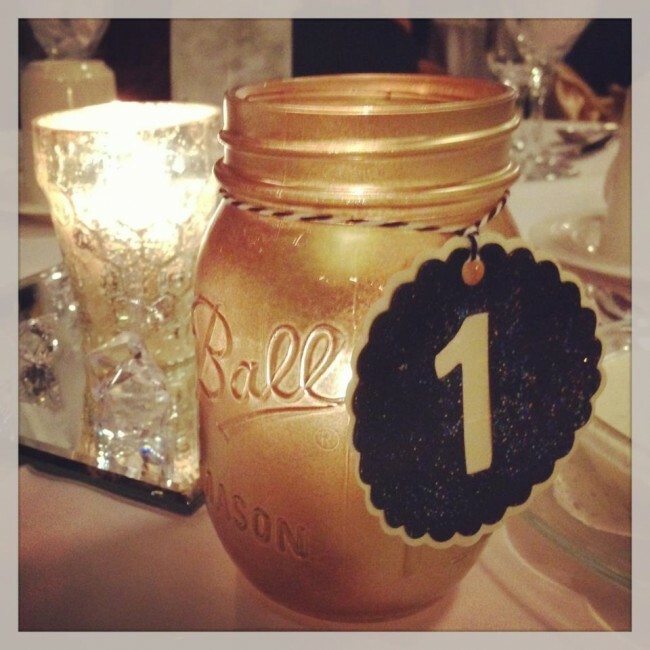 That’s where the gold mason jars and glitter-covered table numbers came from. 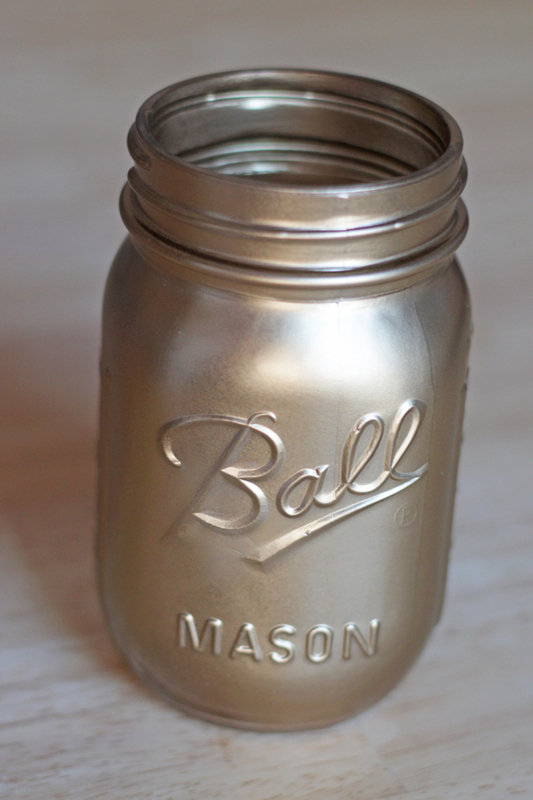 Spray paint your mason jars according to the can’s directions and let dry. 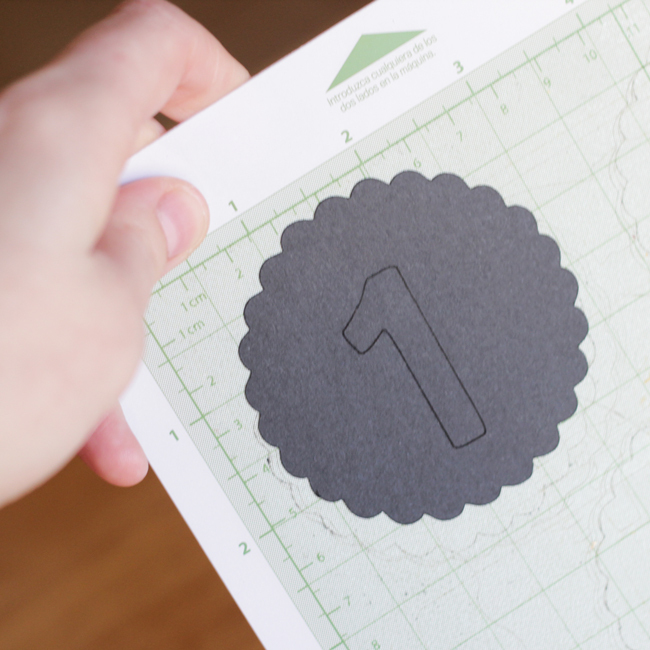 Using either a stencil, pencil and x-acto knife, Cricut Mini, or whatever other craft machine you’ve got on hand, design and cut your table numbers. All of the graphics I used came out of the box with my Mini. The font is under My Cartridges> Cricut Classic Font, and all of the single-digit numbers were 1.5 inches tall. 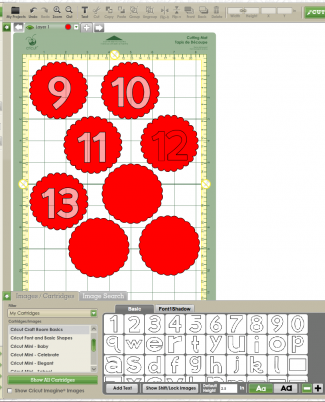 I made 18 numbers, and the double-digit numbers were 1.4 inches tall. 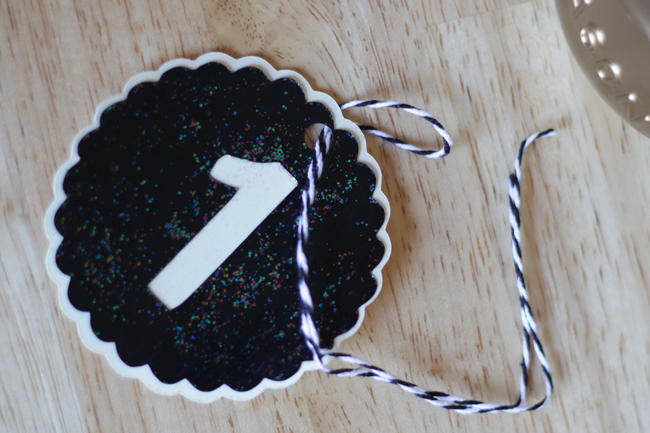 I placed the numbers right over a scalloped circle (also available under Cricut Classic Font basic tab), 2.5 inches tall. 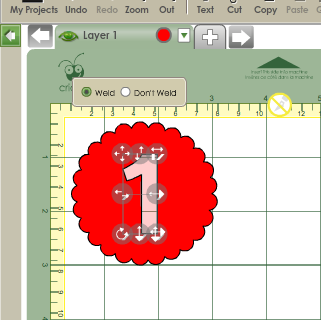 When you overlay the number on the scalloped circle, you’ll need to “weld” the images – see first screen shot below. 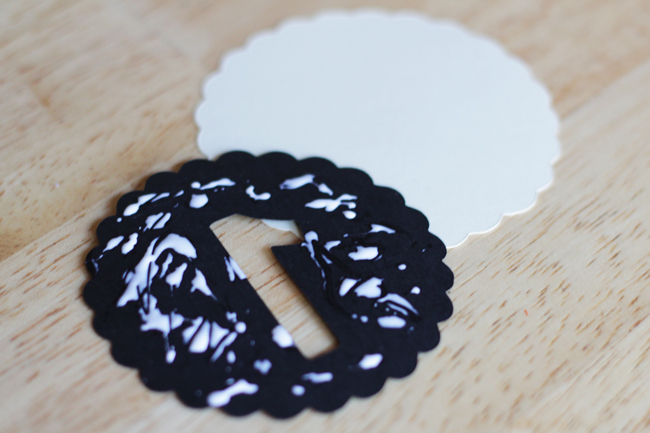 For the background scalloped circle, I used the My Cartridges> Cricut Classic Font scalloped circle under theÂ shadowÂ tab, also 2.5 inches tall. The scalloped circle under the shadow tab is designed to stick out beyond the edges of the basic tab’s scalloped circle, despite being the same height in inches. 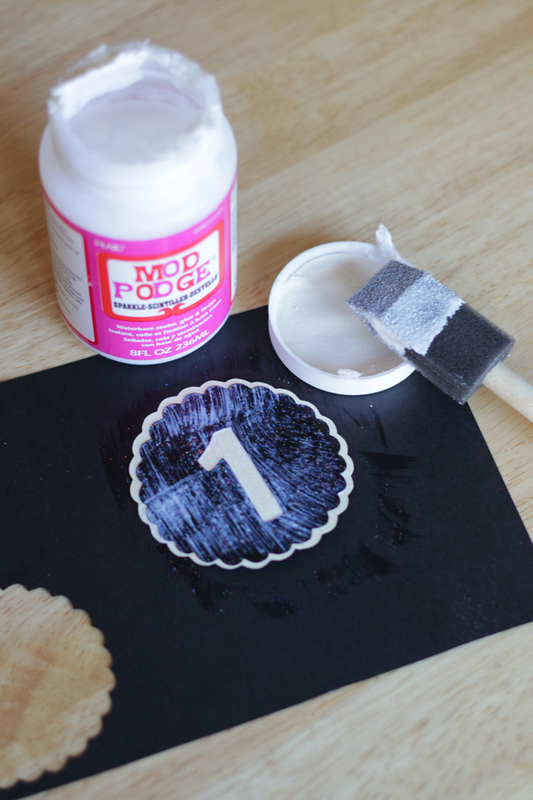 Once the numbers are all cut out, glue the number piece on top of the background piece with a thin layer of Tacky Glue (check out my tip on how to avoid wrestling with your Tacky Glue ever again). 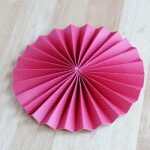 The thinner the better on the glue – since it’s paper, using too much glue will make these dry lumpy! 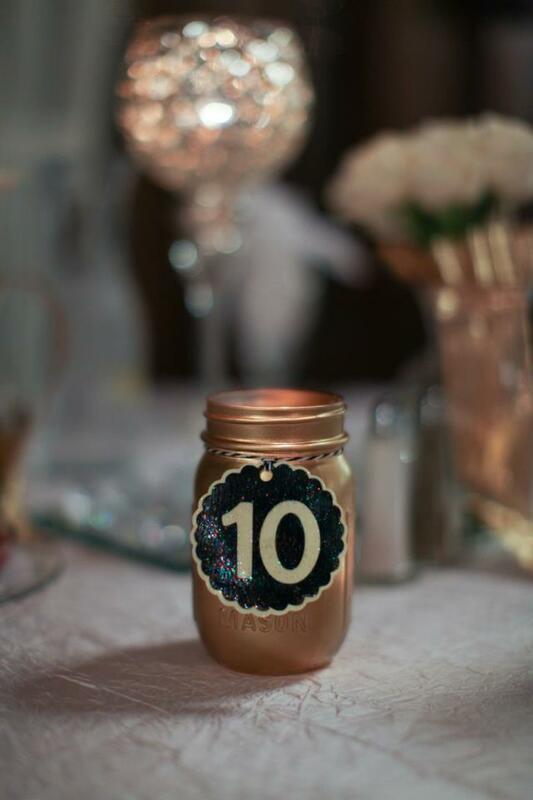 Apply a thin layer of sparkle Mod Podge over the whole thing to help avoid the paper curling up and add some glimmer to the numbers. Let all numbers dry. Punch a hole centered above the number near the top of the scalloped circle. Cut a piece of baker’s twine long enough to tie around the mouth of the mason jar with a couple inches to spare. Fold the twine in half and thread it through the hole as shown. 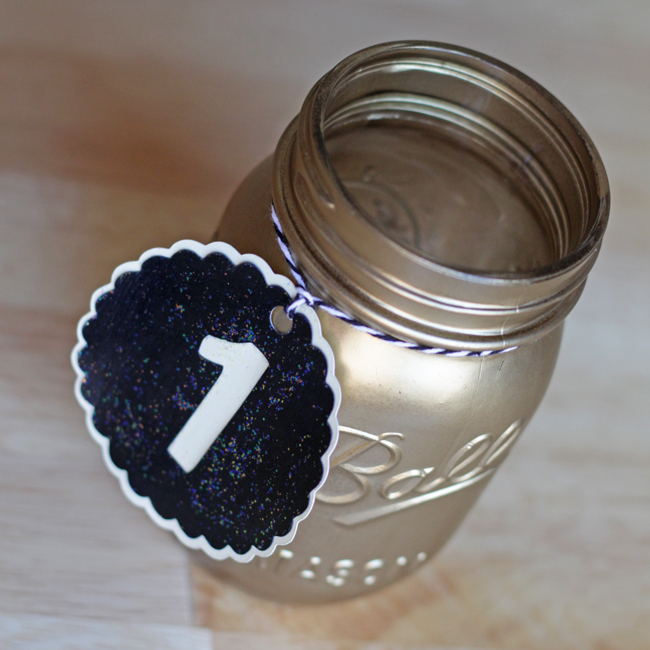 String the ends of the twine through the loop to secure the number tag and tie the whole mess to the jar with a square knot. 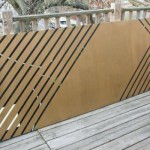 Trim extra string as desired. Drop in a votive candle to complete the look on the day of the wedding (or party if you’re making these for some other event). 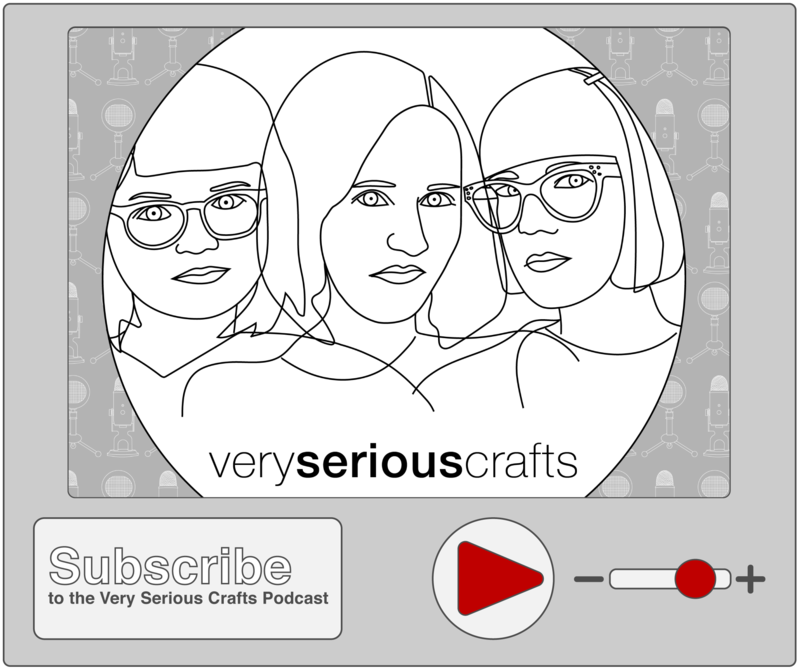 These are really easy if you have a Cricut machine on hand! The bride loved them and they went completely with her theme. I was so glad to be able to contribute something personal to her special day! My Instagram shot of them in action at the wedding on Saturday. It was lovely! 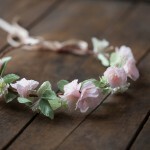 Attention, DIY Brides & Handmade Hostesses!